Please join us in welcoming our newest Sarasota County Green Business partner, CAN Community Health. CAN Community Health has been serving the needs of the HIV community in Florida and now the southern part of the country, since 1991. They are a private, not-for-profit organization dedicated to the treatment, care and continual wellness of people living with HIV, hepatitis C, STDs and other diseases. Their clinics offer medical, dental, psychological and lifestyle counseling to all patients, regardless of their financial situation, insurance status, or ability to pay. 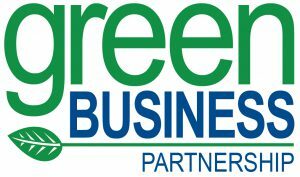 As a member of the Green Business Partnership, CAN Community Health is working toward a healthier environment. For the past year, CAM Community Health has implemented numerous environmental initiatives at their Sarasota locations. Starting with their energy conservation measures, they have installed programs to reduce energy usage such as an energy management system, installing LED and T-8 lighting fixtures throughout, and policies to turn out lights in unoccupied rooms. From a waste reduction standpoint, they have created a recycling program that encourages participation. Additionally, they are looking to improve upon ways to recycling electronics and printer cartridges. Facilities Maintenance Director Terry Stevens has been instrumental in making the environmental changes at the healthcare facility. He is looking to expand the environmental programs to their Northport and Pinellas County locations. ← All-natural preservative; no refrigeration required.